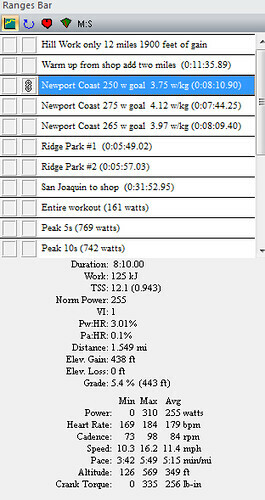 Hill workout today was three repeats on Newport Coast Dr and two repeats on Ridge Park. 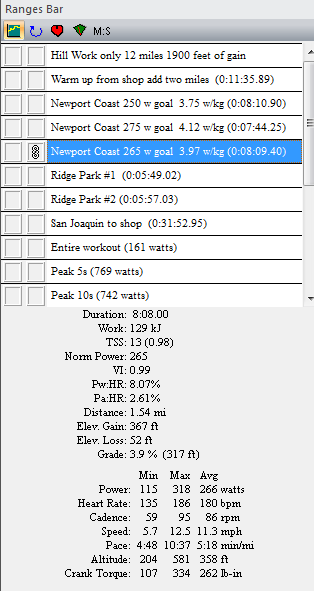 My repeats on Newport Coast were done with 250 watts, 275 watts and 265 watts as goals for average watts. 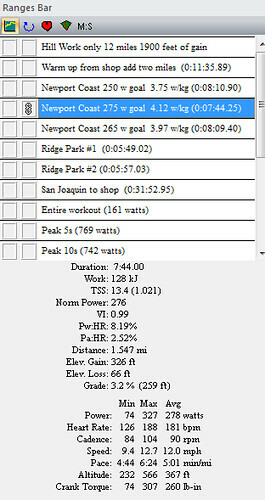 My actuals were 255W @ 3.75 w/kg, 278 @ 4.12 w/kg, and 266 W @ 3.97 w/kg. My 275 watt repeat was painful and I didn’t think I could maintain that average for the length of the climb (1.5 miles avg 6%). 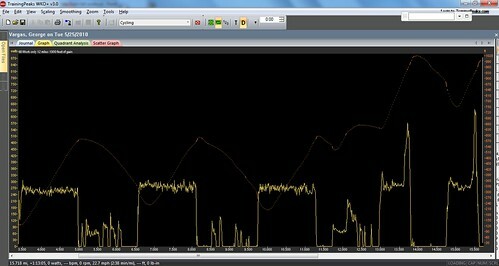 My Ridge Park repeats were just steady seated climbs with sprints near the top- no specific wattage was targeted.